While some naturally curly girls with an unusually oily scalp will think to ban any oil-based ingredient or product from their regimen in fear that it will make their situation worse, rosemary oil can actually counter these issues. Rosemary oil is an incredibly powerful and potent; It is green in appearance with thin, needle-like leaves with a deep, pungent smell. Note that rosemary--like other essential oils--should be used in conjunction with a carrier (or base) oil in order to be applied directly to the skin. This essential oil has the ability to fight off fungal and bacterial infections, containing a high amount of the antioxidant ORAC, a free radical fighting agent that helps curb inflammatory reactions that those with skin sensitivities deal with. This includes scalp fungus folliculitis (scalp bacteria) which cause itchiness. Rosemary is also known to lower DHT, improving hair growth and reducing premature baldness or gray hair. For an oily, greasy scalp, a carrier oil like jojoba, coconut, or sweet almond will balance your scalp's natural sebum production while moisturizing your strands. It is known to also promote stronger, healthier hair and at the same time, help fight against toxic environmental factors that also cause the greasy feeling. These recipes also work well after taking down a protective style like a sew-in or Marley twists. 1. Crush fresh rosemary in your hands to bring out the aroma. 2. Place the crushed herbs into a glass bottle and fill with a carrier oil of your choice (almond, olive, coconut oil). 3. Store the bottle away in a cool, dark place for 2 to 4 weeks. 4. Apply the infused rosemary oil directly onto your scalp. It can be strained and used as a hot oil treatment for weekly deep conditioning, or as a pre-poo treatment before clarifying with a sulfate shampoo for your greasy, oily hair. 1. Crush fresh rosemary and add to a jar of apple cider vinegar. 2. Follow the same steps as the oil and store in a cool, dark space for 2-4 weeks. 3. Shampoo hair with a lathering sulfate shampoo. 4. 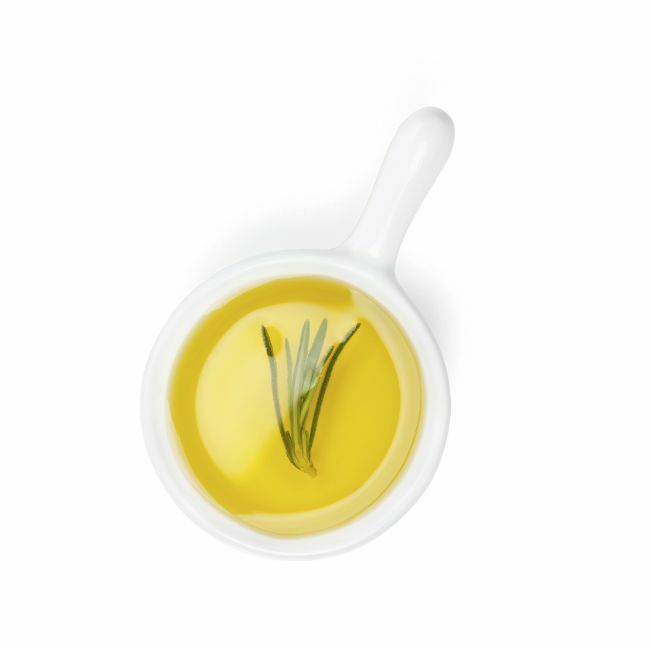 Mix 1/4 cup of your rosemary vinegar to 1 cup of water and apply directly to your scalp. Don't rinse out this This is best used as a gentle cleanser, a hair treatment for Ph balance, or for shine and conditioning. Now Foods Essential Oils, Rosemary, retails for around $6.10 in the U.S. You can get this at the all-natural section of your grocery or wellness store.